Whenever you have to enter those pesky IP and DNS numbers into your connection settings window, you hardly think beyond not making a typo and getting online the soon as humanly possible. Likewise, you hardly ever remember those numbers while [oh, at last!] surfing on my_fav_store.com onto this_great_magazine.net and to my_cloud_workstation.io. Yet, those awe-inspiring numbers and friendly domain labels are, basically, two different ways to trace the requested route on the same map, which is the Web. Together they make up the DNS (Domain Name System) that does the translation and, in modern distributed services, locates the server closest to user to deliver the content at the utmost speed. Definitely, the numeric representation of addresses is reserved for machine-2-machine network interaction (or for geeks). The more familiar alphanumeric naming convention is much better tailored to the needs of an ordinary layman. Also, top-level domain names are supposed to give a clue to the nature of the content on the website (e.g. : .edu, .biz) and the geography of its owners (e.g. : .ca, .cn). However inconspicuous to us, there are people and organizations making huge effort to maintain the whole framework up and running smoothly 24/7. Most important of them, the Internet Corporation for Assigned Names and Numbers (ICANN), which has been there for 20 years now. The history of the DNS dates back to early 1980s, when IP addresses were mapped to host names manually. Numeric part, the Assigned Numbers List, was maintained single-handedly by Jon Postel in the Information Sciences Institute (ISI), the list of hosts was handled by the Stanford Research Institute as HOSTS.txt. A phone call was required to link the two. But, no manual operation can livo on in a community of computer science researchers. So, in 1983, Paul Mockapetris introduced the basic concept of a DNS the way we know it now (or, better say, pretend to know). Of course, the whole network project was way too promising, large scale and overly globalistic to maintain a low profile with a small bunch of people running it. Given that the initial research was funded by the U.S. Defense Department, it could not but step in at some point to orchestrate further growth of the nascent Internet. Thus, the Internet Assigned Numbers Authority (IANA) was founded to operate under Jon Postel’s stewardship and with close supervision from the Pentagon. As the Internet inevitably began to grow throughout the globe, the U.S. Department of Commerce became involved. On September 18, 1998, it established the ICANN to perform the IANA’s functions. Since then the ICANN has been behind the DNS development, numerical space and namespace technical maintenance. It contributed to the setup of the relevant legal framework. Actually, I misled you a bit back in the second paragraph of this post. In most cases, a website country code top-level domain name will give you no clue to where in the world its being operated from. These have long been used at the sole discretion of website owners or of their creative teams aspiring to express the tone of voice and personality of a brand through snappy combinations of domain labels and names. Indeed, eye-catching options became so sought after, that the advent of cybersquatting is hardly surprising. For instant, Italy’s .it seems a good fot for an IT company as it is for a pizza place. Here are more examples of how country codes can be used “off label”. The now popular .io has been originally allocated to the British Indian Ocean Territory, but the letter combination appealed to high-tech companies and various startups. The notorious .tk (New Zealand’s Tokelau) is another case. This got a bad rap over the last decade or so for being (ab)used to distribute illegal content and associated with phishing. The blame was put on the local domain operator seemingly more focused on profit than on goodwill. It brings us to the fact that, while the ICANN is a nonprofit entity, the internet and, in particular, activities related to domain name registration, definitely offer legal and illegal money-making opportunities. Smaller countries encourage commercial use of their codes by companies and individuals. 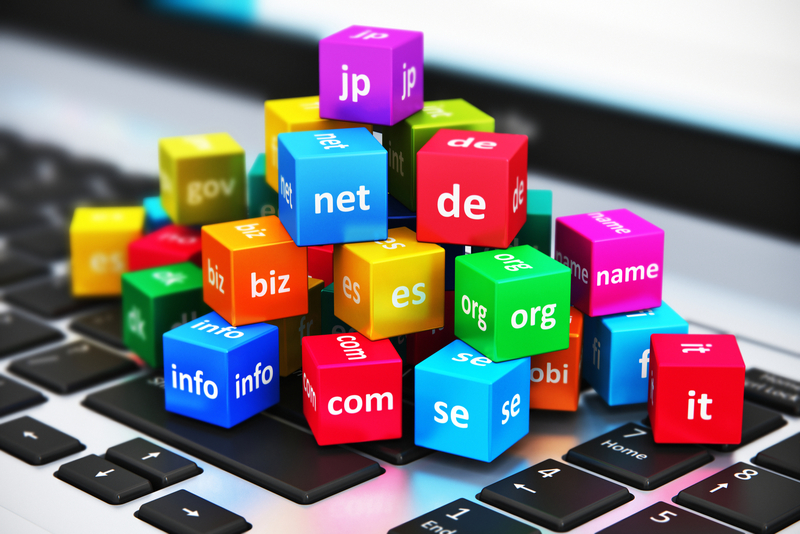 Yet, there is a trend to introduce a new type of top-level domains, the geographic ones. These emerged in 2014 and are designed to highlight a location, culture or language. Examples are .london, .quebec, .asia and there are many more to come. Moreover, Dennis Hope known for selling real property on the Moon, offers his customers free domains in .lunar, .moon and other zones, none of which by the way are recognized by the too down-to-earth root servers. Being all about binary code and numbers, in most cases the IT industry is magnanimous enough to tolerate Latin. Yet, the human-to-machine dialogue gets tricky when it comes to languages using non-Latin characters (Cyrillic, Arabic, Chinese, etc.). So, initially, domain names were only available in Latin (read “English”). Not at all fair, if you ask me. Proving that my sentiment is shared by the broader Web community, the ICANN allowed the use of non-Latin characters in top-level domain names in 2012. Will it make local internet zones less transparent and more isolated? Will it impact the quality of search results? Will the initiative be popular at all, given the established surfing patterns and a huge legacy of websites already running within the Latin-based environment? Only time will tell. Anyway, cultural diversity is now more online than ever. The overriding rule, if you want to run a domain, is to be fair. There was one issue on which there seemed to be almost unanimity: the Internet should not be managed by any government, national or multinational. 20 years today, 21 next year, the ICANN is now a full-grown, mature entity by anyone's standards. It has made a long way from a mere U.S. Government proxy (pun intended) to an authority that advocates free and fair use of the internet worldwide. While still focused on managing the DNS and contributing to the development of communication technologies, it sees its structure and scope of responsibilities continuously alter. Thus, both the IANA and ICANN are now under oversight of the global multistakeholder governance model, not of the U.S. Government. This historical transition followed a prolonged series of discussions and negotiations aimed at preventing the Americans from having exclusive control over what is now seen as a global resource. It means that the internet has joined the honorable club of elements considered vital to the mankind alongside the ocean, our climate, soil, etc. And, the ICANN is still there at dashboard.